Stormy winds foreshadow the promise of a chilly winter, but we continue to celebrate our joy. 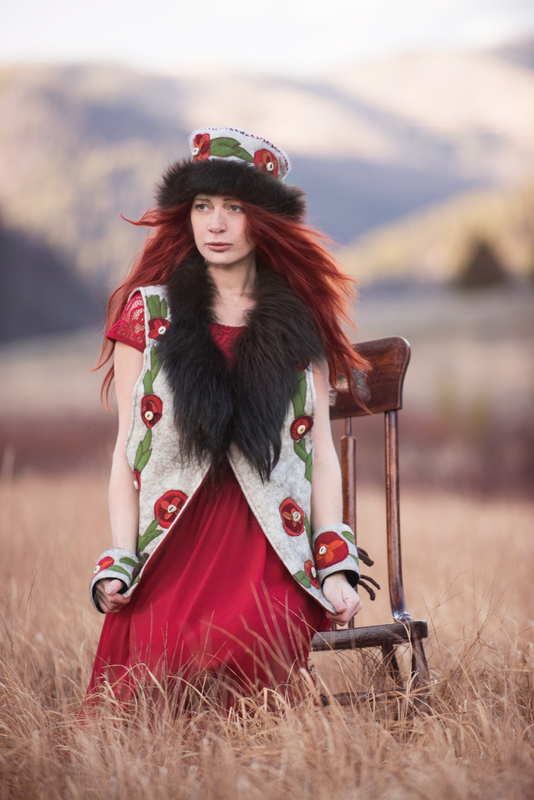 Inspired by Native American flowered applique', all flowers and leaves on this felted Montana bison/wool vest are hand cut and sewn, then decorated with the smallest of deer-antler buttons. 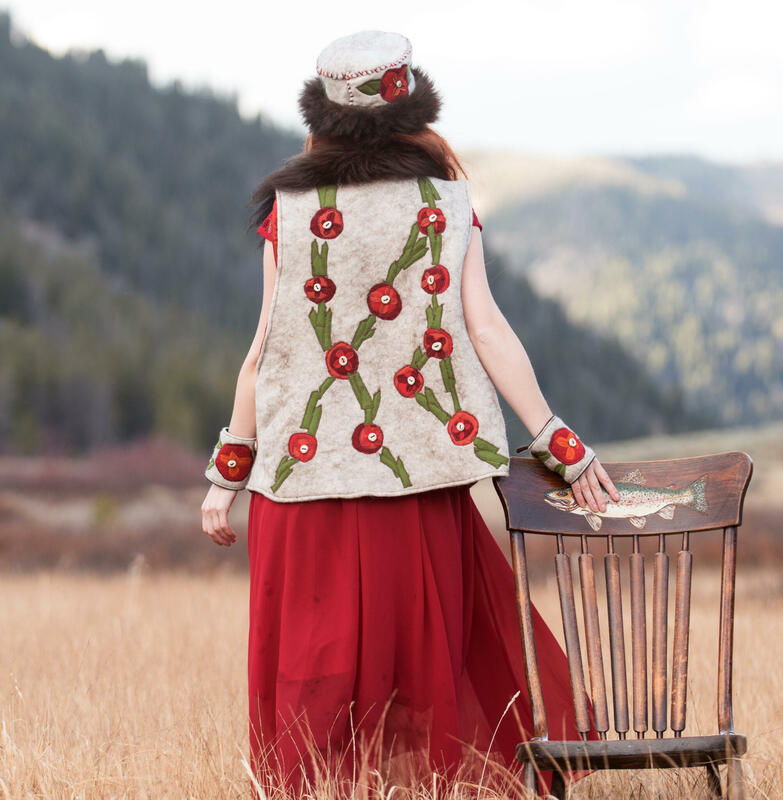 Lined with red raw silk, the vest is oversized to fit a variety of shapes and styles. 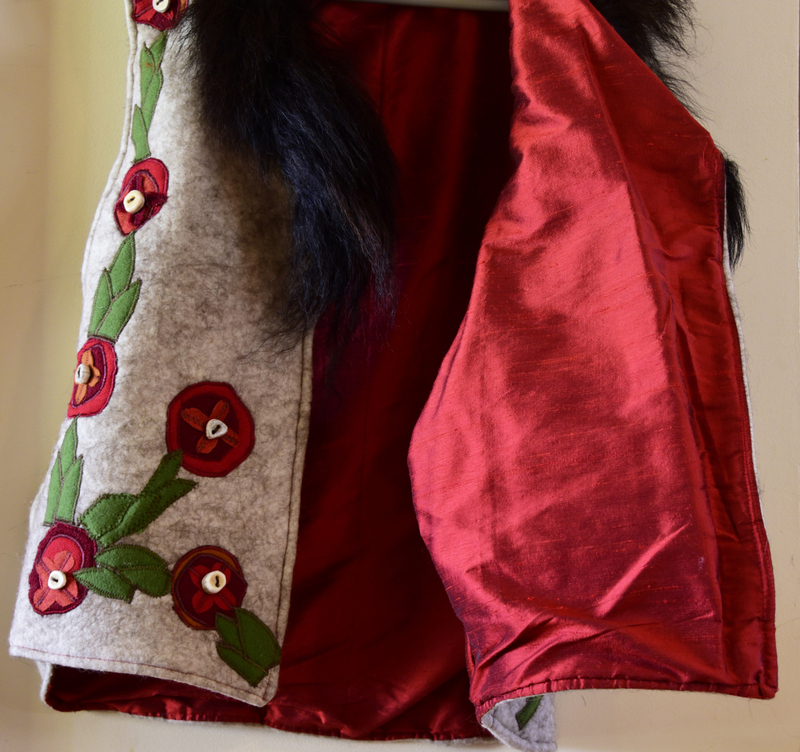 Pair it with dresses or jeans, you will hear compliments from passersby. 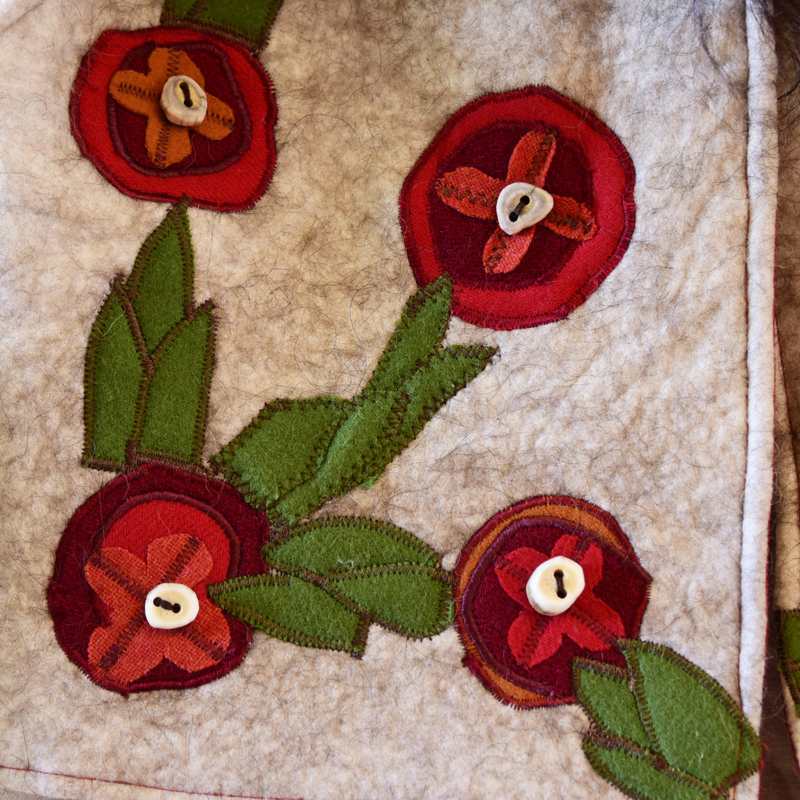 The luxurious bison fur collar is pieced and stitched to the garment. It all holds together with a sturdy snap at the front. Vest measures (snapped close) 44" at the hip. 23" Front shoulder to hem, 27" Nape of Neck to hem at back. 16" Arm opening. Model is 5'8". 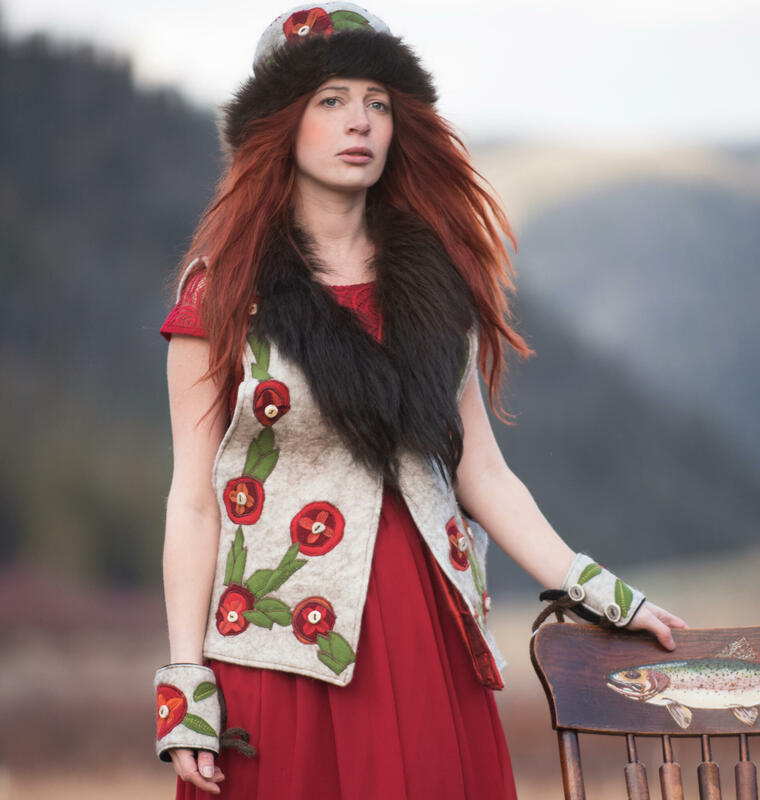 This is a one-of-a-kind vest. Price includes domestic USPS priority shipping.